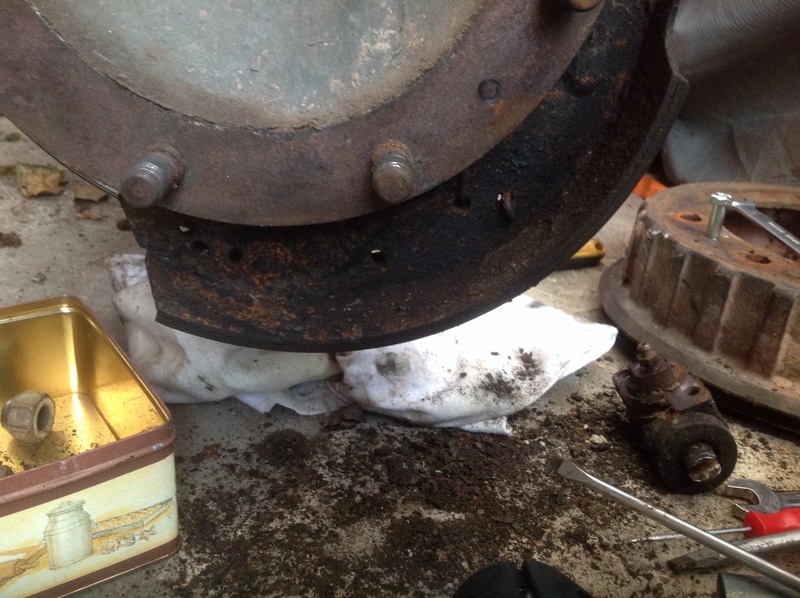 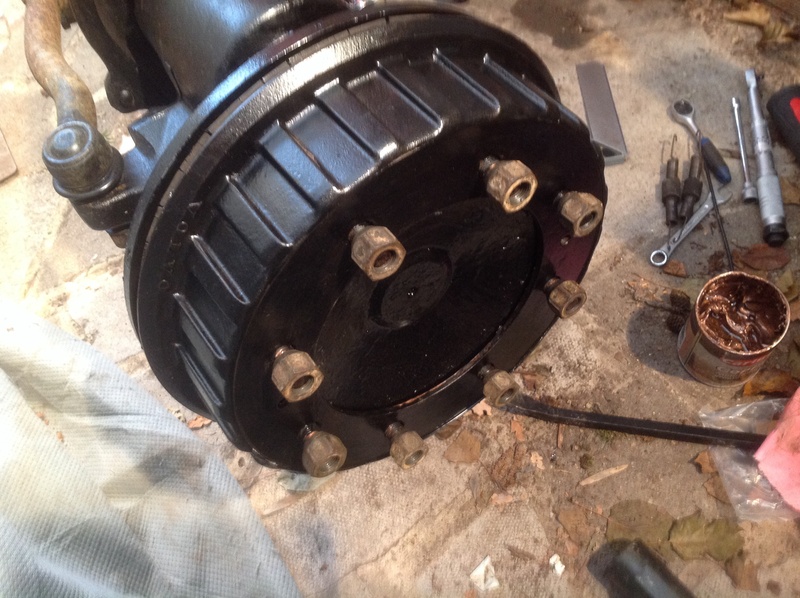 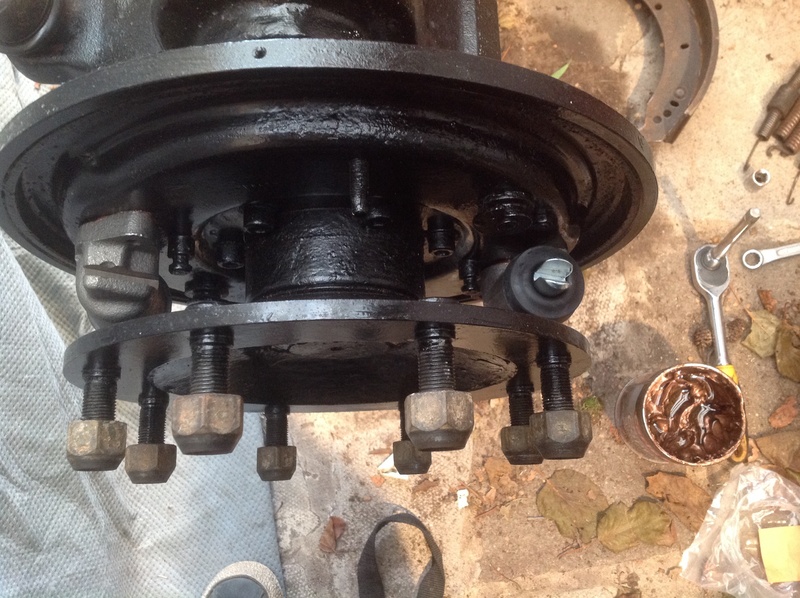 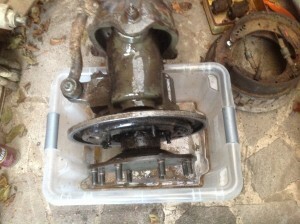 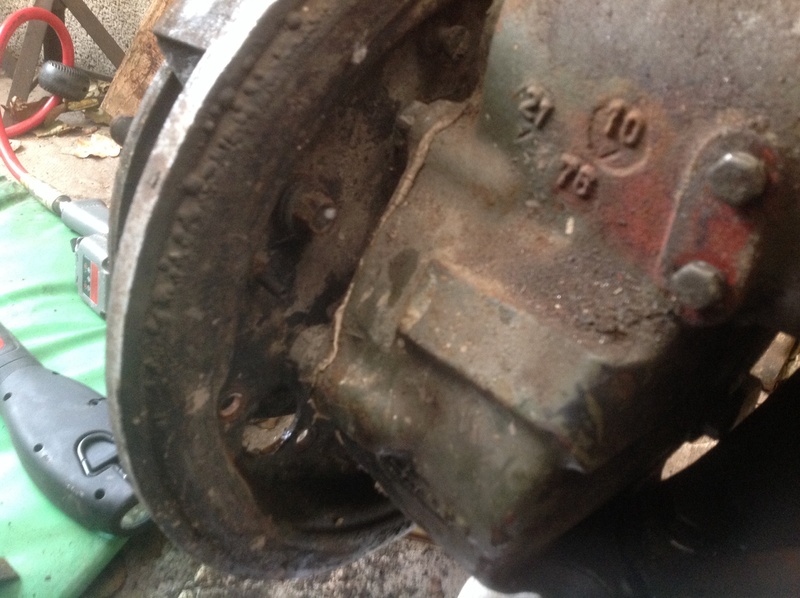 Having not dealt with drum brakes before this is all a bit new but how hard can it be? 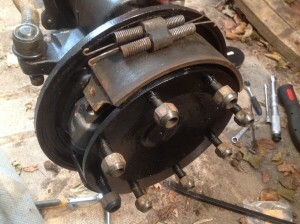 2 of 3/8 -24UNF bolts in the drum pull it off. would have been good to slack of the pads first, but it works anyway. Does anyone know what the breather pipe is for? Seems pointless. 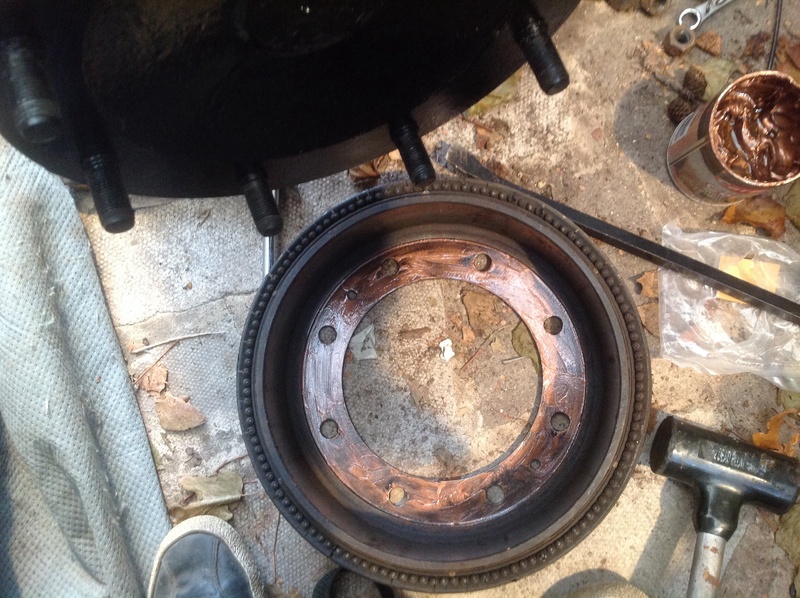 Brake drum gets a coat of copper grease on the rim.